Coffin Bay National Park is 50 km west of Port Lincoln and 2 km west of the township of Coffin Bay. The park features a diverse coastal landscape and inland swamps and offers great camping, scenic drives and associated recreational activities. A trip to Point Avoid and Yangie Bay, both located in the National Park, is well worthwhile. The views of the rugged and lonely beaches on the western shoreline of the park and the dramatic view across Coffin Bay which is offered at the Yangie Bay Lookout are quite breathtaking. Huge sand dunes in the area can be up to 100 metres high. The Coffin Bay Explorer specialises in cruises exploring the beautiful and remote coastline of the Coffin Bay National Park. The boating experiences offered by the Coffin Bay Explorer include the award winning Seafood and Wildlife Adventures and Wild Dolphin Adventures. Over the years Coffin Bay has gained a reputation as a haven for fishermen. Those who enjoy fishing from rocks, jetties, boats or in the surf are all attracted to the area. Fish most caught include King George whiting, salmon, trevally, garfish, tommy ruffs, snapper, flathead and kingfish. 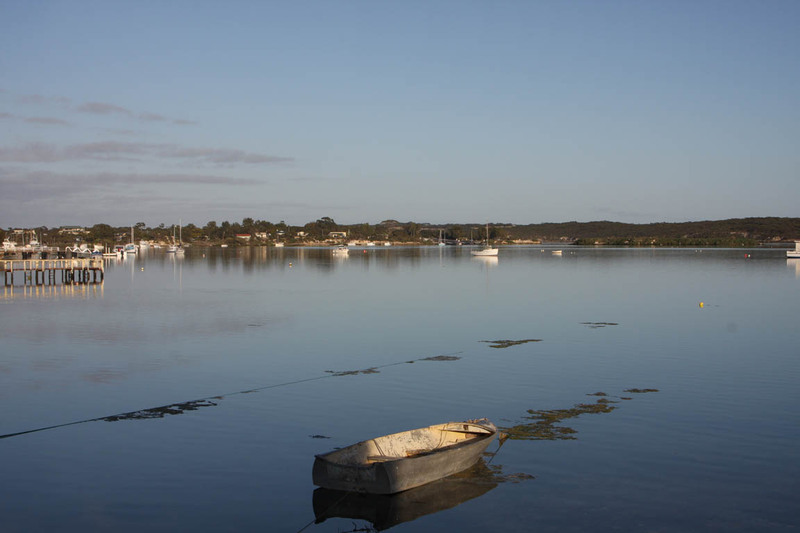 Coffin Bay is acclaimed nationally and internationally for the oysters grown in the pristine waters of the bay. Fresh oysters are available from a number of businesses in the Coffin Bay township. Enjoy! The road from Wangary to Farm Beach passes a turnoff to Dutton Bay where an old woolshed and restored jetty stand. Now restored, the shed functions as a museum displaying hundreds of items relating to local economic history, centring on shearing, farming and fishing. The wool press dates from the early 19th century. The shearer's quarters, which also date from 1875, once housed 14 blade-shearers as well as four roustabouts and two cooks. Only 10 km from Wangary is Farm Beach a renowned fishing spot and launching point for dozens of small fishing boats. The settlement consists of a handful of houses, a very basic caravan park and a ramp to the beach to assist with the launching of boats in the open sea. Farm Beach is also home to a fascinating and bizarre 'tractor museum'. On the weekends, and during holidays, the beach and foreshore are crowded with fishermen who use old tractors to get their boats down the ramp, across sand and over the mountains of seaweed which are washed up onto the beach. The result is a parking area where, at any one time, there may be up to 50 tractors, all of them ancient and rusty. Just near the car park, above the boat launching point at Farm Beach there is a rough dirt road which leads to the beach where the invasion scenes in the movie ‘Gallipoli’ were filmed. Unfortunately all of the trenches, sandbags and the dugouts had to be removed leaving only a bay, which approximates to the famous shoreline where the ANZACs came ashore at Gallipoli, to see. The section of the coastline is now named Gallipoli Beach.